Okay, let’s get one thing out in the open right now: I am definitely proficient in Facebook creeping. Seriously. If you’re on Facebook, I can find you. 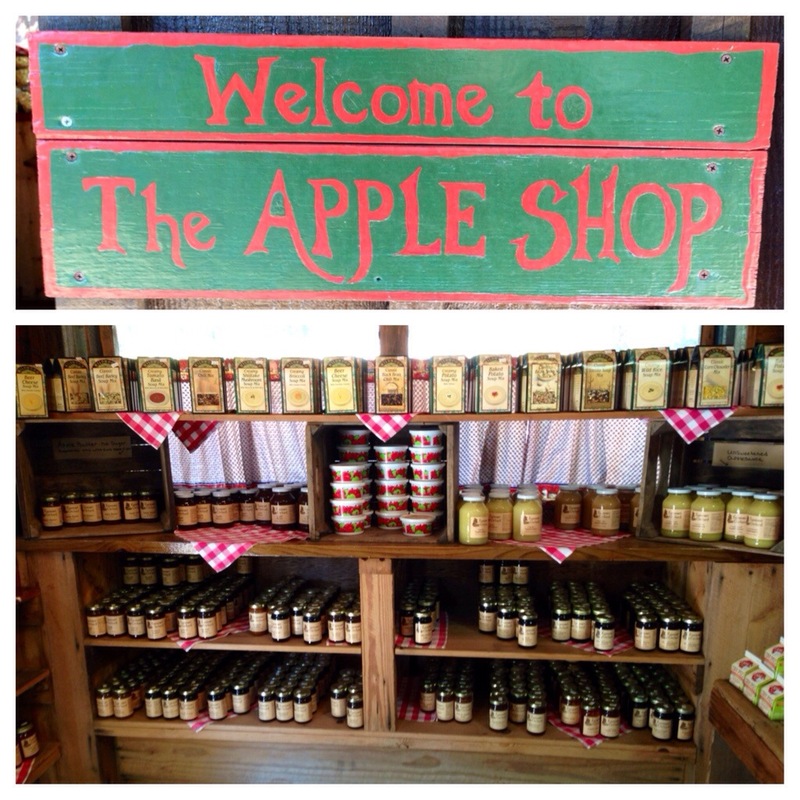 The point here is, I MADE APPLE BUTTER! 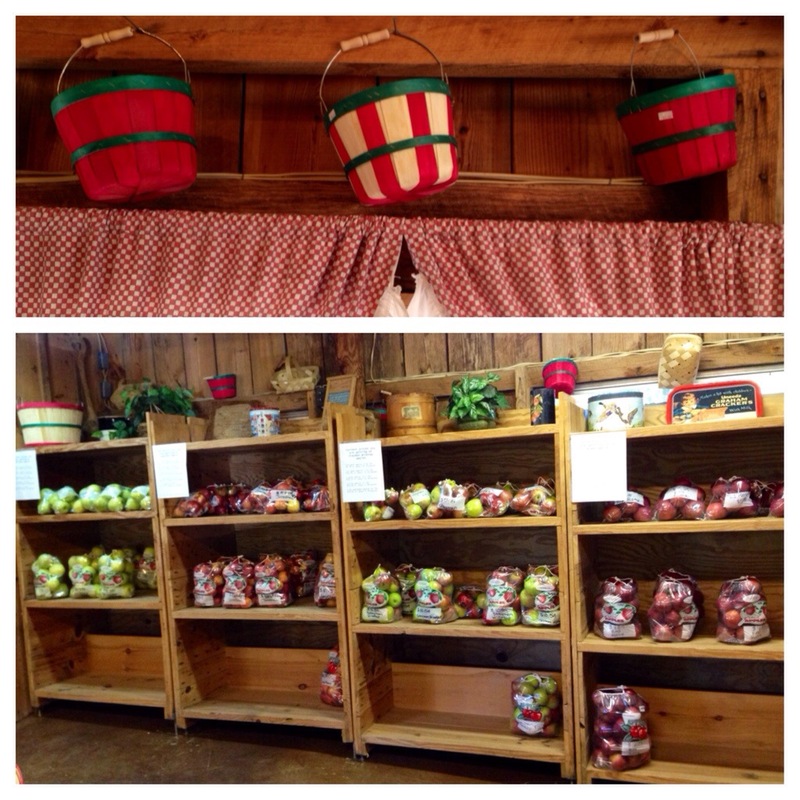 S took me to a little orchard on the mountain his dad lives on to buy the apples. I bought a bag of red delicious apples. 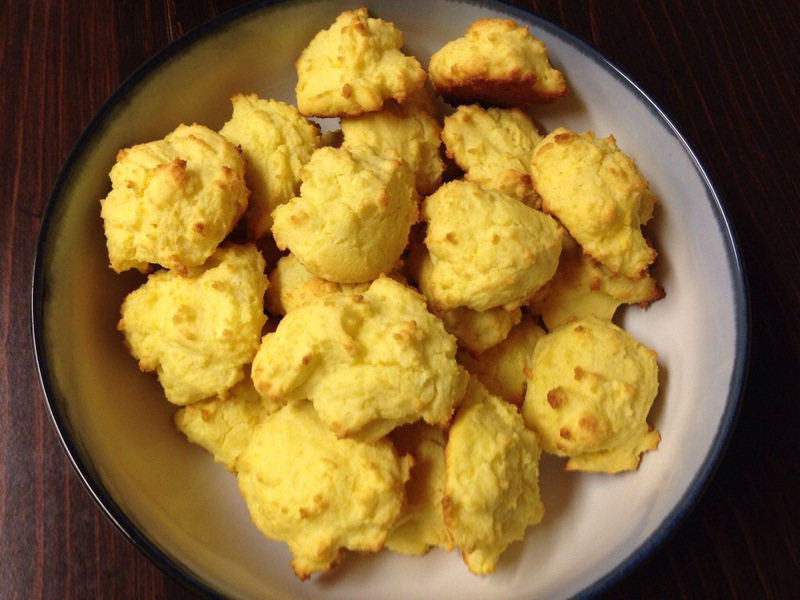 I had…uh… creeped on Facebook that those were a smart choice because they’re softer. I quickly discovered that the Pampered Chef tool would not work. 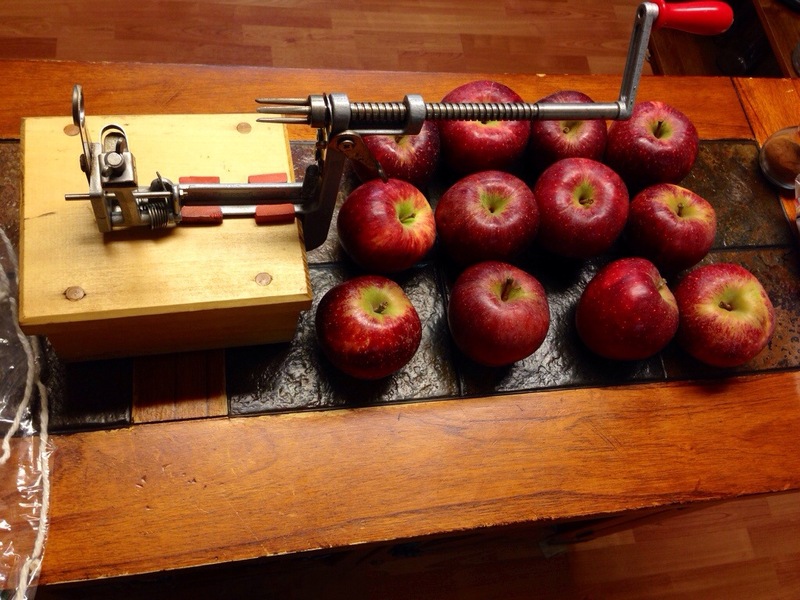 The apples were too soft. They fell apart. I peeled, cored, and chopped them by hand. I covered these suckers, put it on ‘low’, and let them sit all night. They had cooked down considerably. I bumped it up to ‘high’, propped the lid open with a wooden spoon, and let it sit. I checked it throughout the day, stirring occasionally. I mean, the Facebook comment didn’t exactly mention what to look for, but I thought they should be a little less chunky. 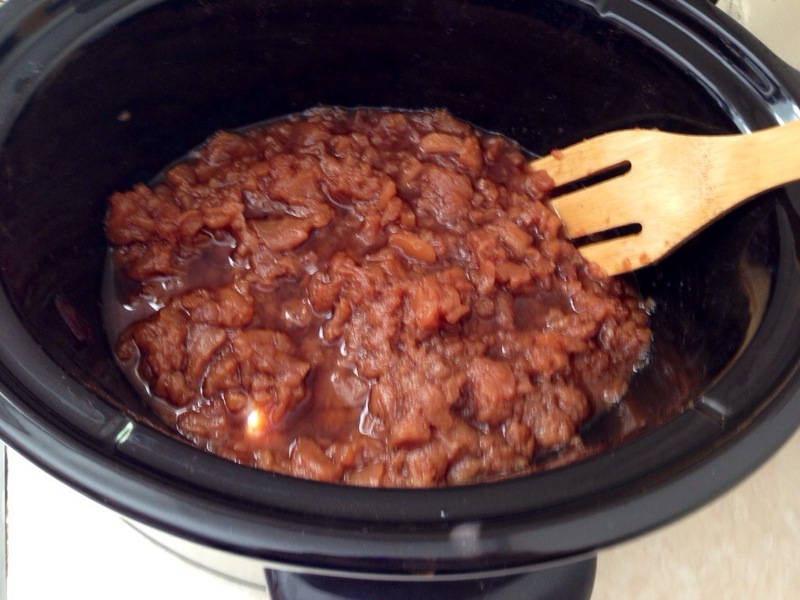 It was extremely soft, and after just a little stirring, the apple chunks fell apart even more. I tried a small spoonful and decided they were done. 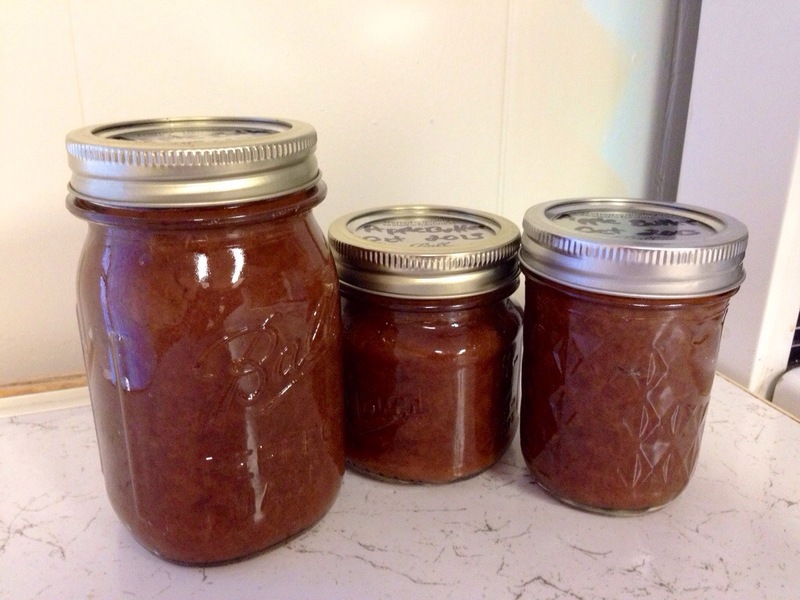 I canned the apple butter. 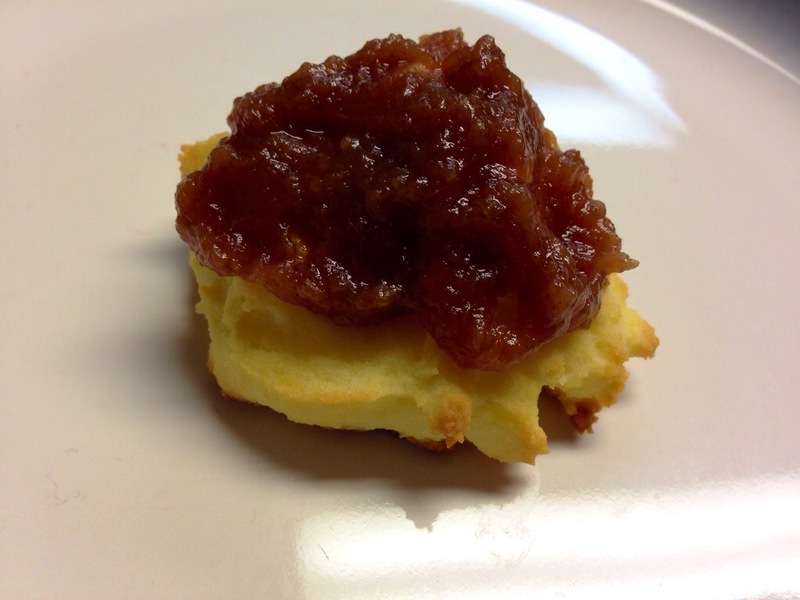 Immediately after finishing the apple butter, I made some biscuits! I hadn’t had biscuits since I stopped eating gluten, but S’s dad gave me a box of gluten free Bisquick a few weeks ago (he had seen it in the store and thought of me). I may or may not have eaten them by the half-dozen. 2. Add the water. 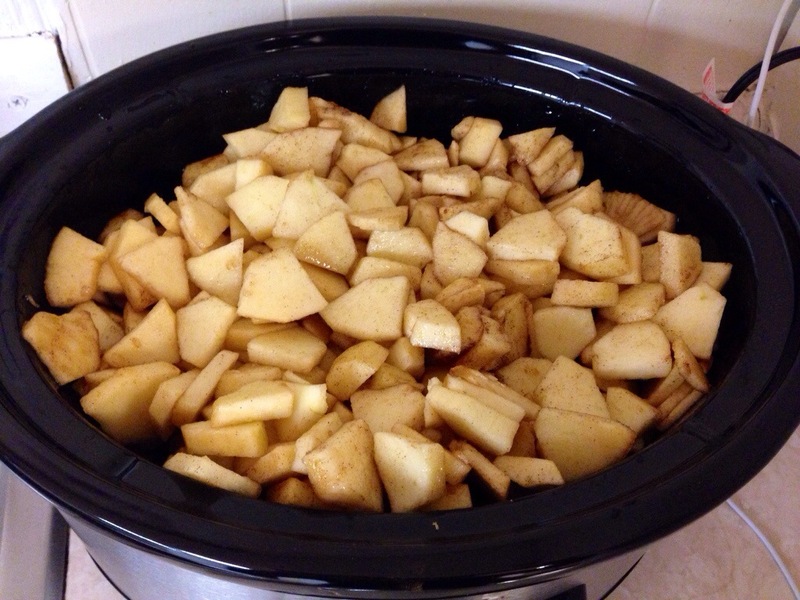 Turn the crock pot on Low and let it sit overnight. 3. The next morning, turn the heat on High and prop open with a wooden spoon. Only occasional stirring is required. It cooks down a lot and thickens. 4. (Blending is an option at this stage. 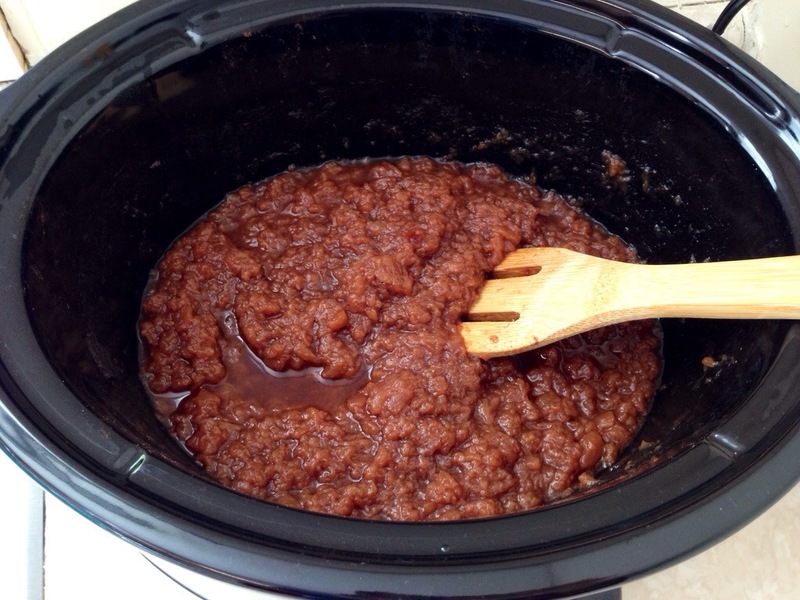 I didn’t blend mine and I thought it was plenty smooth) Pour the apple butter into clean canning jars. Thanks! I was really pleased with how it turned out.